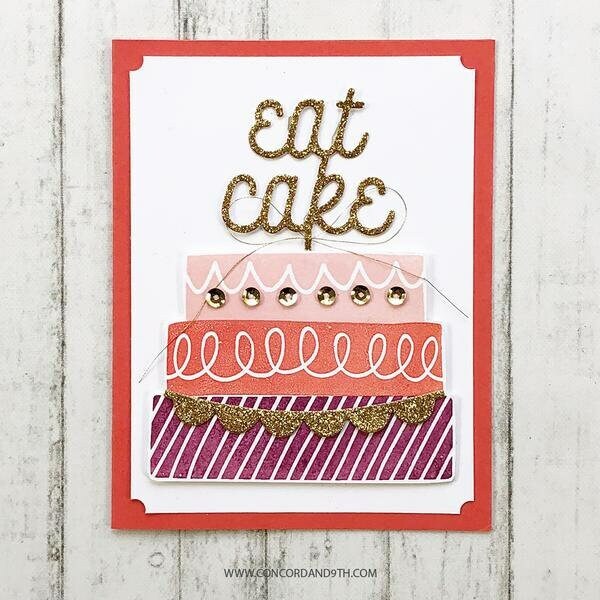 6x6 stamp set with 20 images to create fun, bold cakes with large sentiments to 'top it off'. 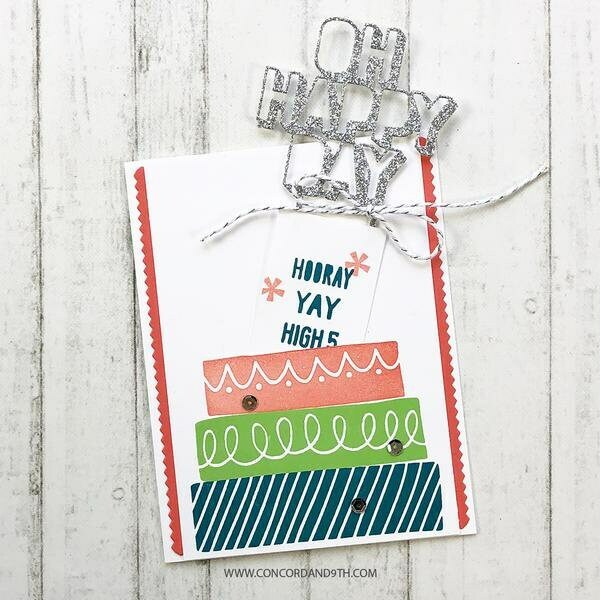 Coordinates with Top It Off dies. 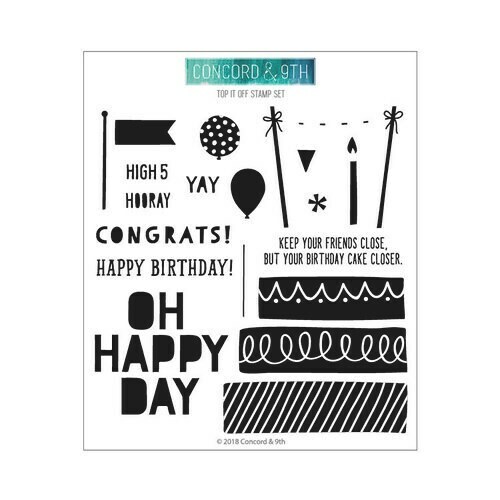 Create birthday, wedding and congrats cards. 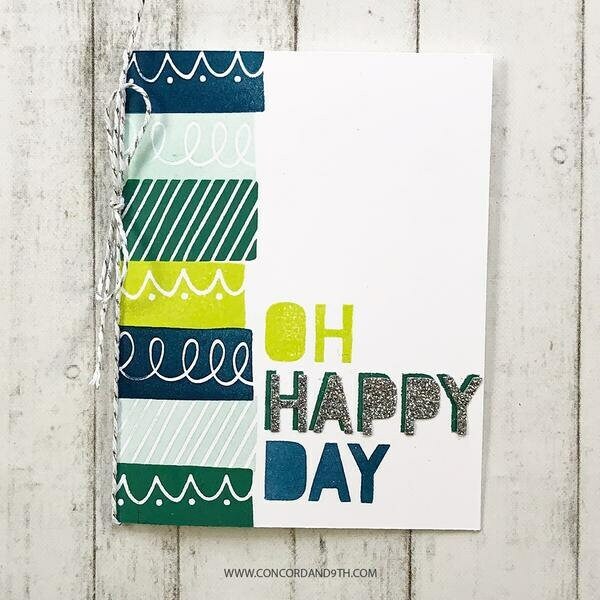 YAY, HOORAY and HIGH5 all stamp inside the flag. 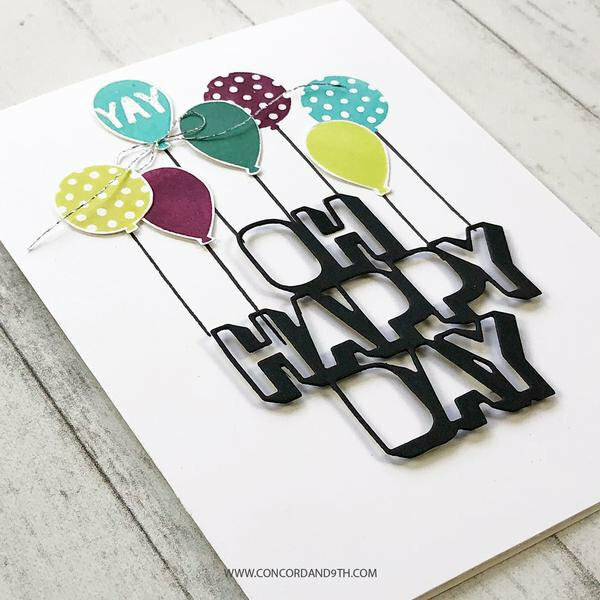 CONGRATS, HAPPY BIRTHDAY! and "keep your friends closer.." all fit inside the die cut banner. 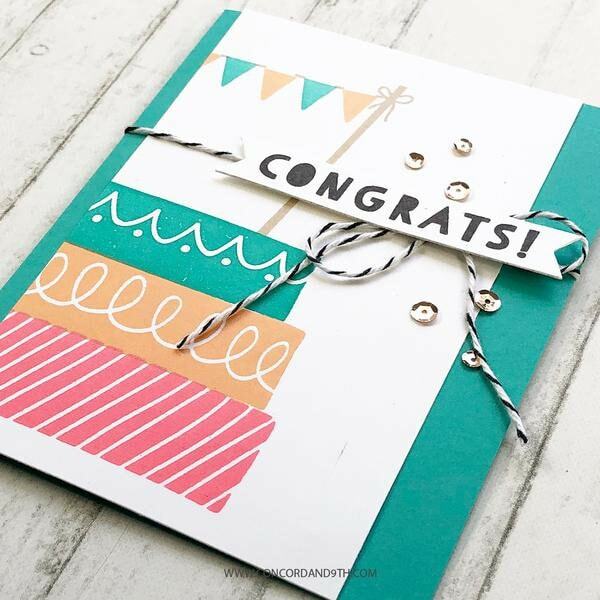 BUNDLE with Top It Off dies! 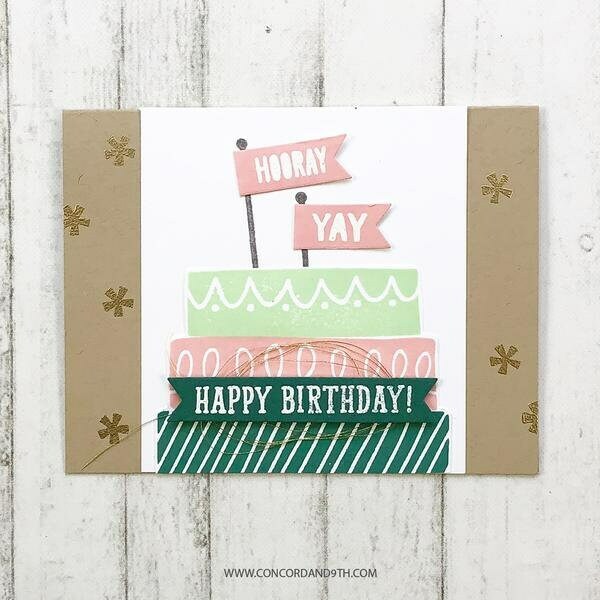 OH HAPPY DAY = 2 3/8" x 2 1/2"
Diagonal stripe cake layer = 3 1/2" x 1"
HAPPY BIRTHDAY! = 2 1/2" x 3/8"